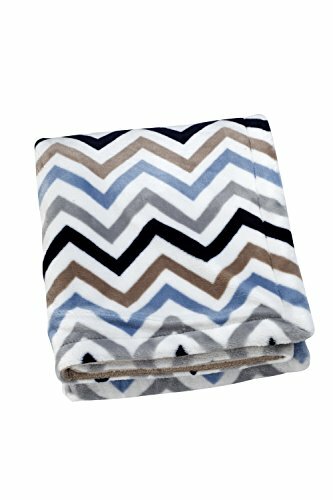 chevron rayures en bleu clair, marron, blanc et marine. It’s anchors aweigh with this cozy, reversible blanket by Sadie & Boy-scout. One silky soft side features a bastaing-pattern in blue, tan and grey; the other side is cozy plush in classic tan. Mix & partie with your choice of crib bedding, wall decals, canvas art, and d cor to create a one-of-a-kind nautical nourricerie that’s just your joint! bastaing rayures en collégien joignable, brun, interstice et multitude. Crown Crafts Infant Products, Inc.